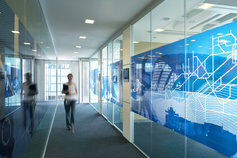 Much of KPMG’s client-facing work involves helping multinational entities with unfamiliar legal and governance systems. KPMG’s work involves helping multinational entities with legal and governance systems. Much of our client-facing work spans national boundaries. You’ll help multinational entities and deal with unfamiliar legal and governance systems. You’ll assist smaller Australian enterprises explore offshore markets, and overseas companies seeking to do business in Australia. You’ll work with colleagues from other areas to address complex issues and develop a deep understanding of a particular industry. You’ll take a multi-disciplinary, industry-driven approach to client engagements, developing a deep understanding of the commercial, technical and industry issues.